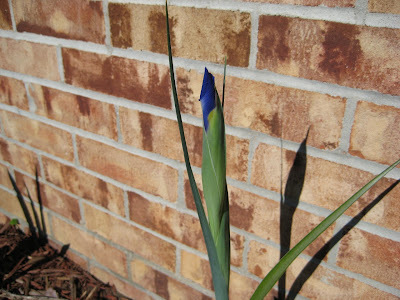 Good news, everyone, the irises are blooming! 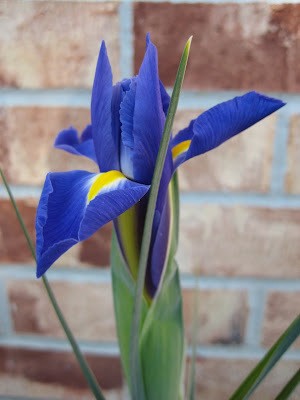 ...and the hope of more irises! Yesterday I went to the farmers market for the first time this season. It was fantastic. Still not a whole lot of fruit and vegetables there, since its so early yet. In the spirit of Barbara Kingsolver, I bought some fresh asparagus. I also bought a few herbs (nothing fancy, just some basil and cilantro) and then a couple of native prairie plants (ie, weeds): wild bergamot and asters. This rounds out my garden to include: various kinds of tomatoes and eggplant (thanks to Cara and John), cucumbers, red peppers, green peppers, jalepeño peppers, kale, zucchini, chamomile (the German variety), and lavender (I don’t know whether its English or French). We’ll see how much of it survives. I’d still like to get some more herbs, but I haven’t been able to find what I’m looking for. Today I did my last “long” run before the marathon—just 8 miles. It was nice. I love my new Mizunos. A week from now, I’ll be done with the marathon and probably planning my next one. 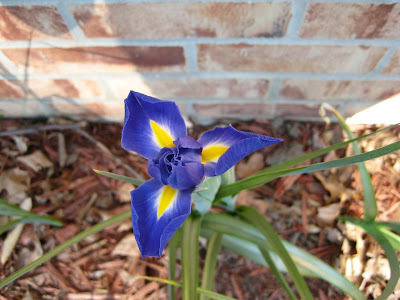 My irises just started blooming too, but they're not as pretty as yours yet. 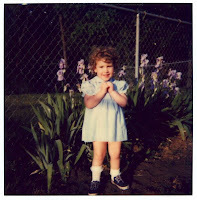 Love the little girl picture!